Author & community spirit Teresa LeYung Ryan wears two hats. As a novelist, she uses her book Love Made of Heart to inspire adult-children of mentally-ill parents to speak openly about the stigmas that their parents suffer. As a writing career coach and creator of Build Your Name, Beat the Game: Be Happily Published (the 22 day workbook), Teresa helps writers identify their mission statements to attract agents, publishers and fans. Her website WritingCoachTeresa.com offers resources for writers and readers. Teresa LeYung Ryan speaks out for public libraries, honors immigrant-stories, advocates compassion for mental illness, and helps survivors of violence find their own voices through writing. This post is dedicated to the writers who have completed the work in the guide Build Your Name, Beat the Game: Be Happily Published. My heart feels light and joy for you. I celebrate you. Introducing yourself with your new mission statement. Telling us the top 3 exercises from the guide that were most useful to you. Giving us a glimpse into your hopes and dreams for your illustrious writing career. After you sign in the Hall of Fame, do your writer-friends a favor; tell them about the guide and how they can build their names too. You’re on your way to other endeavors, and, because you’ve developed a new wonderful habit, every project you touch will benefit from your new energy. I am available for individual coaching and group coaching. To E-mail me, key in WritingcoachTeresa then @, then Gmail.com In the subject line–show your full name and purpose of your e-mail. 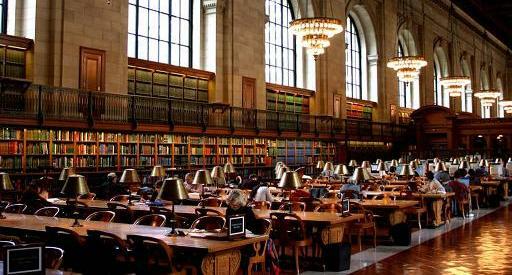 May your work be read by many and preserved in libraries! Your post regarding the proposal from ALA Subcommittee on Bookmobiles and the approval from ALA Public Awareness Committee to designate April 14, 2010 as National Bookmobile Day brings me joy. I will share this news with fellow authors and “Save the Libraries” advocates. 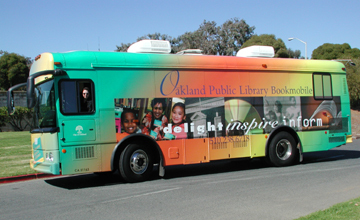 In Oakland, CA, we have lost our bookmobile (and other library resources) when City officials passed the budget last year 2009. Eliminating the Bookmobile has created a huge loss for library patrons, especially kids and seniors. I invite all Bookmobile lovers/patrons to help by sharing their opinions on http://savethelibraries.spaces.live.com. Please click on” YOUR Bookmobile Story” and share yours. Or email your story to save-the-libraries@live.com. Thank you, ALA Subcommittee on Bookmobiles and ALA Public Awareness Committee! I will celebrate all Bookmobiles during National Library Week 2010.